People using Periscope to illicitly stream HBO's "Game of Thrones" to their friends are now on notice — literally. HBO on Tuesday confirmed that it has sent take down notices to the Twitter-owned live video streaming service. Periscope, in turn, has reportedly taken action against the infringing account-holders. The case underlines a problem that analysts have predicted: the use of live video services like Periscope and Meerkat to pass along unauthorized streams of copyrighted programming. Several Periscope accounts were seen streaming the fifth season premiere of "Game of Thrones" on Sunday night simply by pointing a cell phone camera at a TV. A spokesperson for Twitter subsequently told Mashable that Periscope's terms of service say "we reserve the right to remove content alleged to be infringing without prior notice and at our sole discretion." Additionally, "in appropriate circumstances, Periscope will also terminate a user's account if the user is determined to be a repeat infringer," the terms say. That's a reactive strategy. 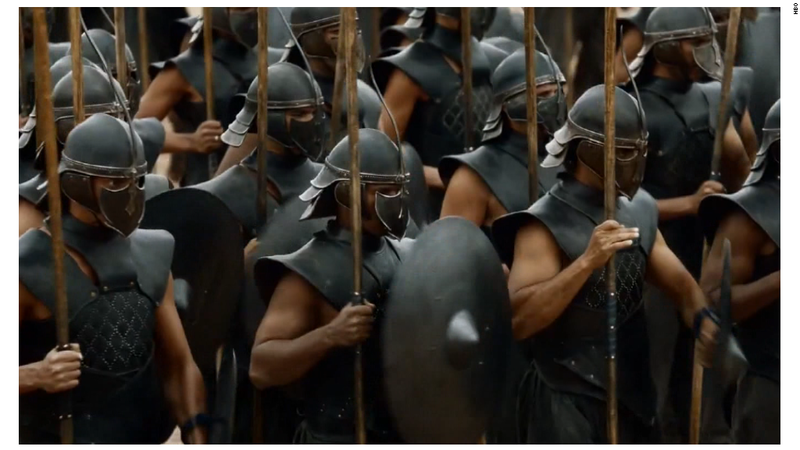 HBO's statement on Tuesday suggested a more proactive strategy on the part of developers. "We are aware of Periscope and have sent take down notices," HBO said. "In general, we feel developers should have tools which proactively prevent mass copyright infringement from occurring on their apps and not be solely reliant upon notifications." YouTube, for example, has algorithms that seek to identify copyrighted content at the instant it's being uploaded to the video site. Apart from the sporadic Periscope streaming of the "Game of Thrones" premiere, HBO is investigating a much bigger breach: an Internet leak of the first four episodes. The quartet showed up on piracy sites on Sunday morning. Nevertheless, there was tremendous tune-in -- the legal way -- for Sunday night's premiere. More than 8 million viewers watched, according to Nielsen, setting a new record for the series. Most HBO viewing happens on-demand, days and weeks after an episode debuts, which makes the 8 million figure all the more impressive. HBO and CNN, the owner of this web site, are both owned by the same parent company, Time Warner.